This entry was posted in Jazz, video and tagged Youtube. Bookmark the permalink. 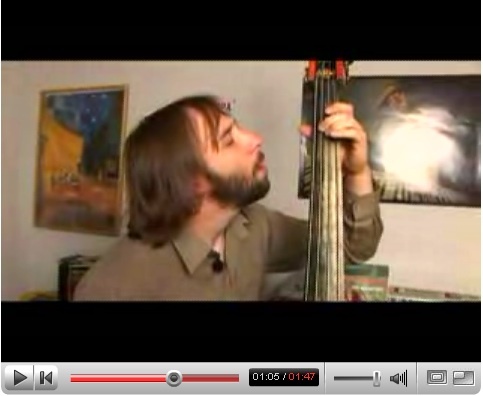 Also good: http://de.youtube.com/watch?v=nynaEKDm0D4 “the f-major scale”, explained by telling which finger has to be put onto which fret [sic!]. Wow, this guy is so professional!